HOW MUCH of an issue are musculoskeletal injuries when mounting or dismounting a truck? 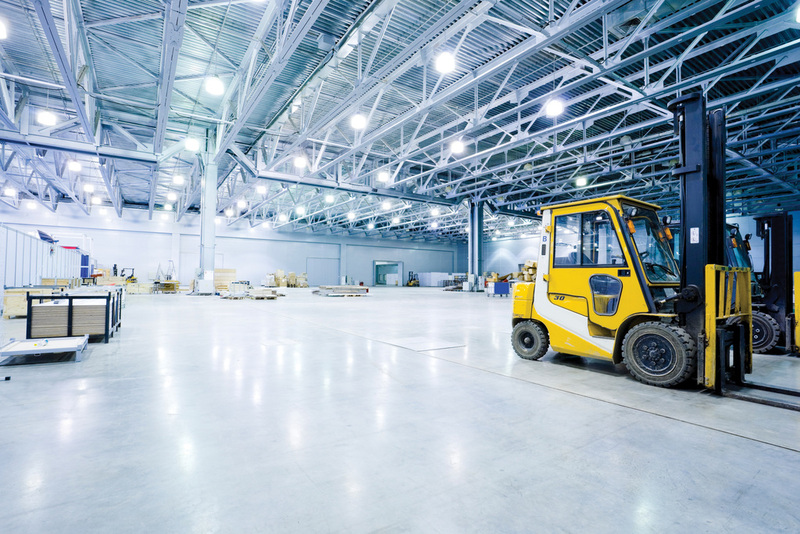 In many applications, operators are getting on and off a lift truck, or warehouse truck, multiple times during a shift. This means operators can very easily go onto ‘autopilot’, failing to consider the risks, and often developing bad habits over time. This is the case even for experienced operators, meaning there is potential for accidents to occur every single day, every time a truck is used. What’s the first thing an employer or supervisor should consider to tackle this issue? Before an employer even thinks about letting an operator get on to a lift truck, they must first ensure that the operator is properly qualified. The operator must not only be qualified to operate the truck, but also have adequate training on the specific type of truck being used, the environment it will be used in and the types of loads they will handle. This is a legal requirement. However, even if an operator is fully qualified, the employer should check that the operator’s training has included a demonstration of the correct mounting and dismounting procedures – all courses differ and may not have covered the same skills and techniques. At RTITB, we recommend that trainees should have a chance to get on and off a truck under supervision during their training so that their technique can be assessed, and corrected if necessary, by a qualified Lift Truck Instructor. If an operator has seen a demonstration of how to mount one type of truck during training, is that enough for their safety? All trucks are different, even those of the same type or from the same manufacturer. For that reason, employers and supervisors should always refer to the manufacturer’s operator manual for specific advice on mounting and dismounting the truck so that operators are suitably trained for the particular truck that they will be using. Some operators use several different types of truck, so employers must ensure that they are trained appropriately for each truck type. Is there anything that operators should ensure they do before they mount a truck? Pre-use inspections must be done before an operator gets onto the truck and are absolutely vital for safety, but worryingly, these are often done incorrectly, or sometimes not done at all. An operator must be trained to conduct routine pre-use inspections before using a lift truck. This will include a visual inspection of key parts of the truck. Operators should also always check the environment and the floor around the truck as debris and uneven surfaces can cause slips and trips. Plus, they should be aware of other vehicles, pedestrians and even existing loads on the forks, all of which pose different safety considerations. The truck’s state of repair should also be checked and operators should consider how this may affect mounting and dismounting. For example, does extra care need to be taken due to erosion on non-slip surfaces? They must also be trained to alert a safety issue to a supervisor, such as if they find that a surface is too slippery or a handle is loose. Can protective clothing make it harder for operators to get into the cab? Yes, operators’ protective clothing may be loose or bulky, such as overalls or padded jackets but as an employer you have a duty to ensure that the required protective clothing is worn. However, during training operators can be reminded that protective clothing may catch when getting on and off the truck so they should take extra care. Supervisors should also remind operators of this during day to day operations. Operators should also be taught about what should not be worn when operating a truck. For example, hanging jewellery can cause a number of risks, and items like phones and keys should always be removed from back pockets before an operator gets into the cab. Is there one simple technique for getting on and off a truck safely? Best practice for specific types of trucks should be covered in training, as every lift truck is different. However, as a rule of thumb, lift truck operators should always face the truck when getting on and off and if steps are available they must be used. Good secure hand and foot holds should be established for stability and operators should always maintain three points of contact with the truck when mounting or dismounting. Once the operator is in the forklift cab safely, is there still a risk of injury? Yes, musculoskeletal issues can be caused by failing to make the appropriate adjustments or adopting the correct position when in the cab. Operators should use all of the available adjustments, such as those for the seat, steering column and armrests. Proper training should ensure that they know what these are, and how to do them properly. These adjustments are important for both safety and ergonomics and must be done before travelling anywhere in the truck. An operator should always sit down in the seat, lean forward and shift their hips to the back of the seat to set the spine in correct alignment. The seat should be adjusted by sliding it forwards so that their feet are resting comfortably and the pedals are within easy reach. This practice may seem inconsequential but is actually a vital part of avoiding a number of musculoskeletal injuries and disorders related to posture. To eliminate the need to lean forward, which can contribute to musculoskeletal issues, the steering wheel should be adjusted so that it is is within easy reach of either hand at the furthest point away from the body. Likewise, to avoid excessive bending of the head and neck, the backrest should be adjusted to a position slightly tilted backwards. Mirrors should also be adjusted as required. Do open cabins pose more risk of injury than enclosed forklift cabs? Failure to sit within the cab fully is what increases the risk of injury, both to the operator and to others within the operating environment. Operators should ensure that all areas of the body are within the cabin before the truck starts moving. It almost goes without saying, but if a safety belt is available it should be worn. Seatbelts are a legal requirement on most trucks since 2002 and for older trucks with any risk of overturning, operator restraining systems should be installed. Employers should be considering this as part of ongoing risk assessment and health and safety audits. What is the best way to dismount from a lift truck safely? As with mounting a truck, three points of contact should be maintained during dismount for stability and to protect from musculoskeletal injury. Operators should never jump down from the truck. Supervisors should be paying attention to how operators mount and dismount trucks every day to ensure that bad habits, like jumping from the cab, do not develop. What are the biggest risk factors when dismounting the truck? Lift truck operators should check for other traffic before exiting the cab. Unsurprisingly, other vehicles pose one of the biggest injury risks. Floor debris or spillages in the area of dismounting can easily lead to slips and falls, so it’s vital that operators check for this too. They should also ideally find an even surface for getting off the truck as landing awkwardly can result in injuries, particularly ankle, lower leg and wrist problems. In your opinion, what should more employers be aware of to prevent injuries while getting on and off lift trucks? Day to day supervision of operators plays a vital role in operational safety yet is sometimes overlooked by employers. Skilled, trained supervisors should be on the front-line to identify when operators are not following processes and to ensure that any issues can be addressed. 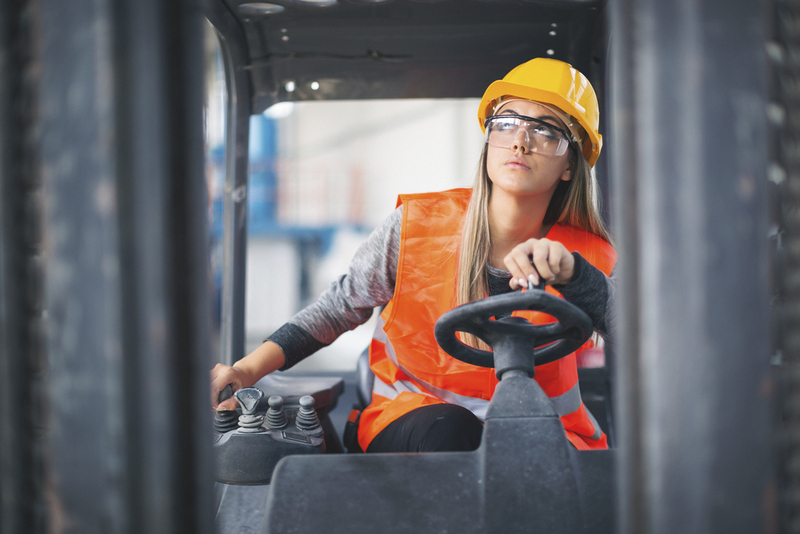 Although mounting and dismounting techniques will vary depending on the design of the lift truck, adhering to best practice and delivering the correct training will always help ensure that safety isn’t compromised. Employers should speak to a reliable training provider to make sure that the forklift operator training they deliver improves overall safety and efficiency.